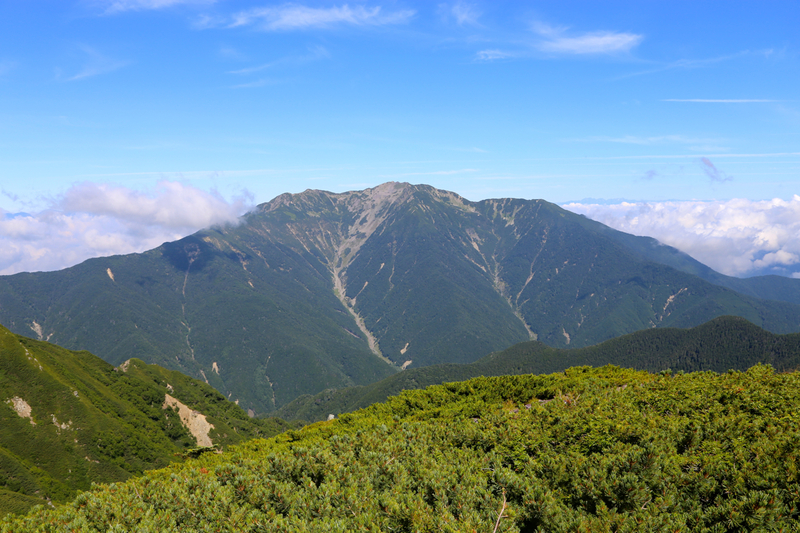 This mountain, the highest in Japan aside from Mount Fuji, is best accessed from the town of Kofu (N35.64725, E138.53897). Locate the small valley going west, with a Hwy. numbered 20 (there is another Hwy. 20 as well, so pay attention.) 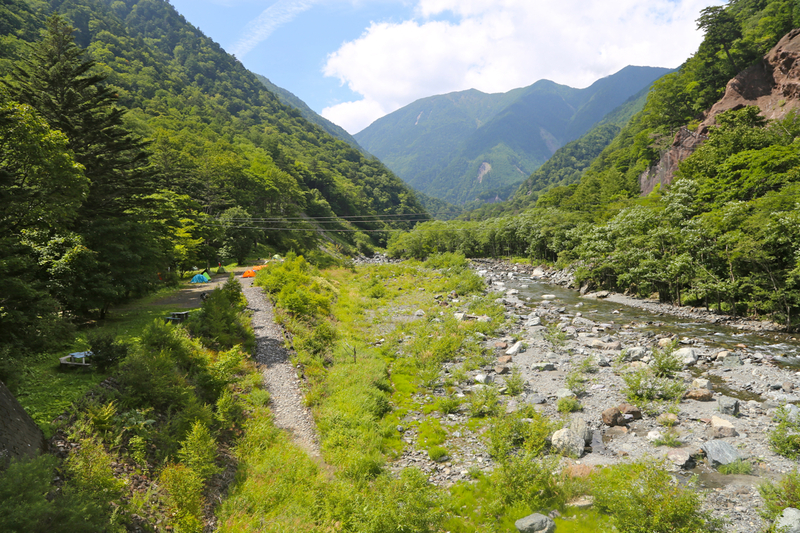 The correct valley has a place called Ashiyasu Hot Spring marked near its upper end. Since there is almost no parking available at the trailhead and since the road from Ashiyasu is rather narrow, there is bus service between these two points. 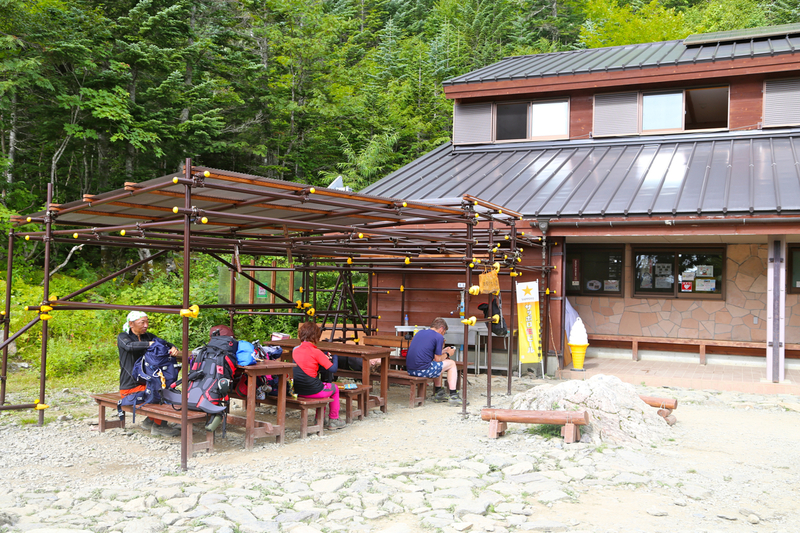 The parking lot in Ashiyasu is located at N35.63315, E138.36252, elevation 950 meter. This parking is free of charge. One may also take this bus service directly from the town of Kofu. The bus trip from Ashiyasu parking takes about 1 hour and the fare is a bit more than 1000 yen. 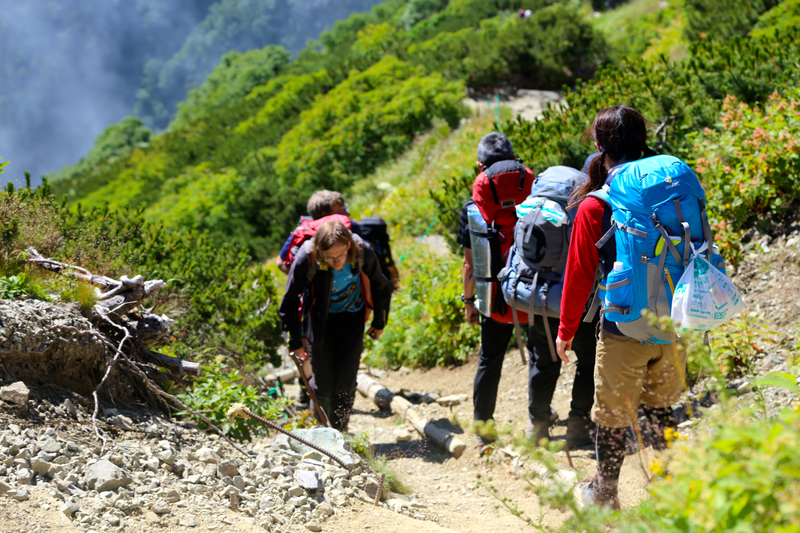 Buses operate frequently in the main season for hiking (late July and August). Often, more than one bus will depart in order to get everybody going. The bus will deliver you to the trailhead at the bottom of a pretty wild and narrow valley, this location is N35.69705, E138.27080, elevation about 1530 meter. 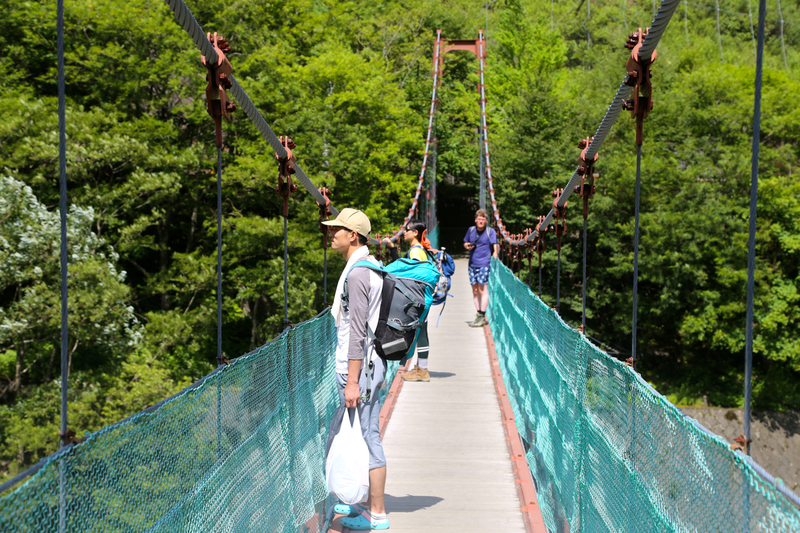 Walk up the paved road to find the nice suspension foot-bridge across the river. On the far side, the trail serves a camp ground slightly upstream, the main trail starts from here. 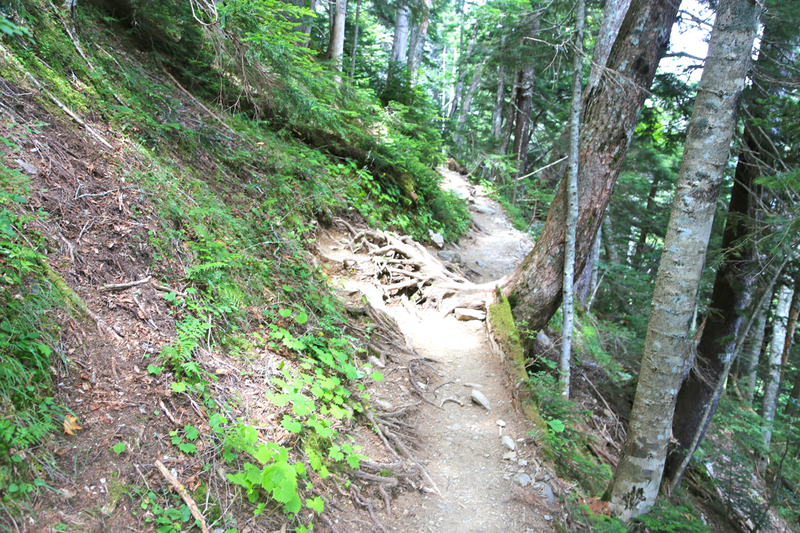 Immediately after crossing the bridge, a smaller trail forks left and provides a small short-cut to the main trail. Head up the trail, initially along a river in a small side-valley. Soon, there is a trail fork. Both trails may be used, however, this description will only cover the trail forking right. Go right, the trail almost immediately starts a steep and relentless climb up a spur. Sharp zig-zags,afew smaller sections with man-made steps, you ascend about 700 vertical meter before the trail reaches a small plateau, then traverses off to the left. 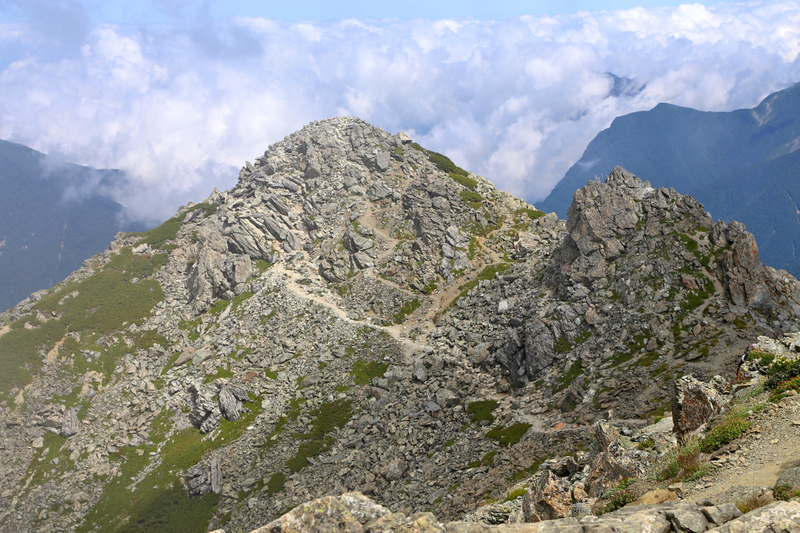 This traverse is mostly horizontal, with a few smaller up and down sections in order to reach a major hut located at N35.68593, E138.25237, elevation about 2235 meter. 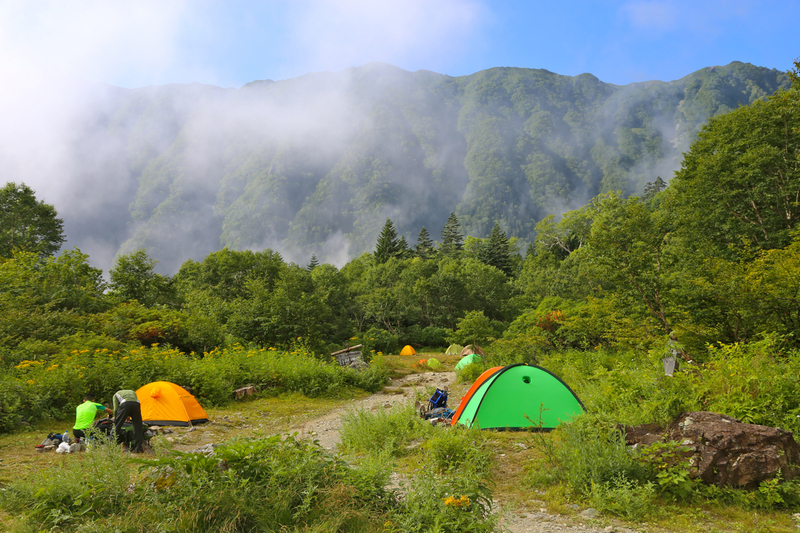 There is also a nice area nearby where hikers can pitch their tents. From the hut, the route starts out up a green gully (low vegetation only), partly also climbing a bit on the right hand side of this among bigger trees. 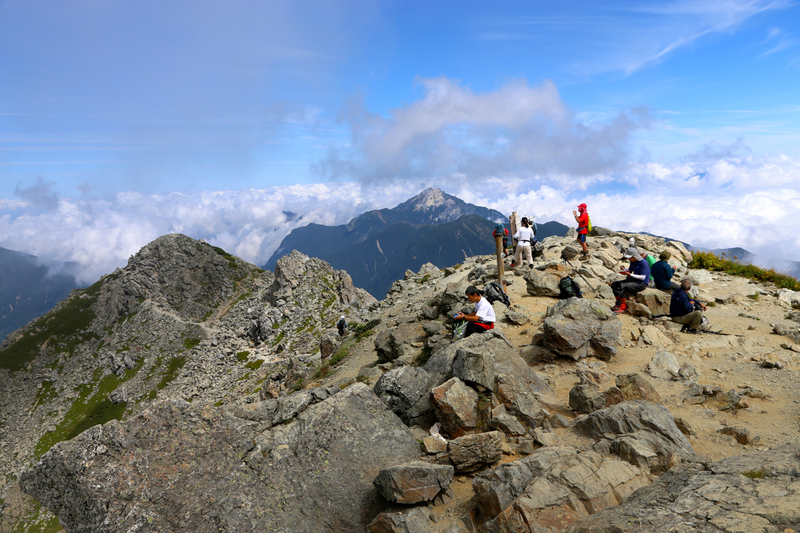 The trail finally tops out on the main crest (the north ridge of Kita) at elevation 2845 meter. 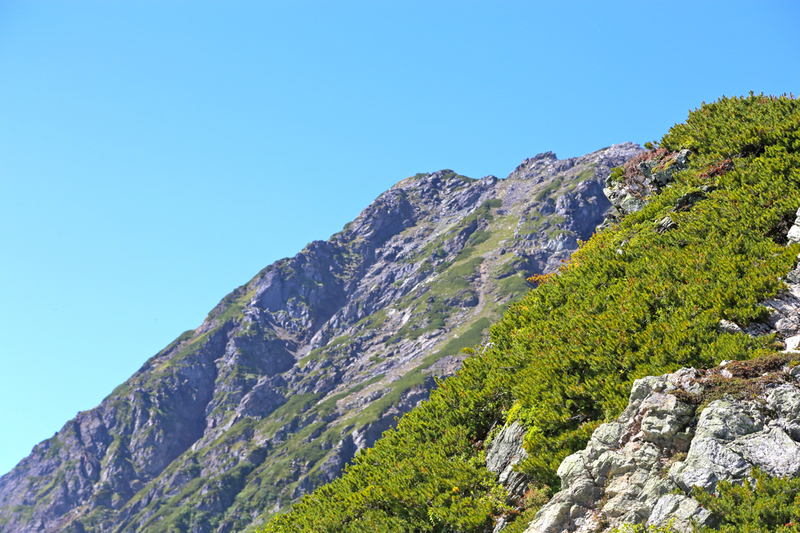 From here, one just follows the obvious trail on or near the ridge. 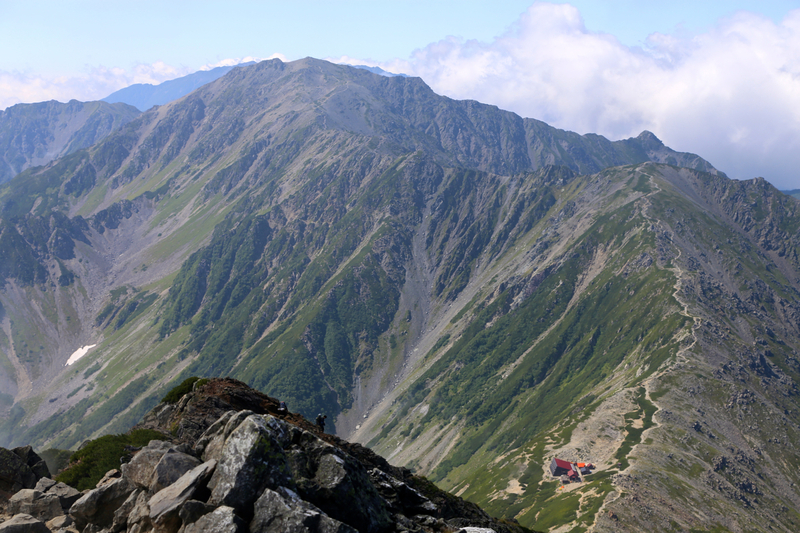 You will pass a Japanese mountain hut at slightly more than 3000 meter of elevation. 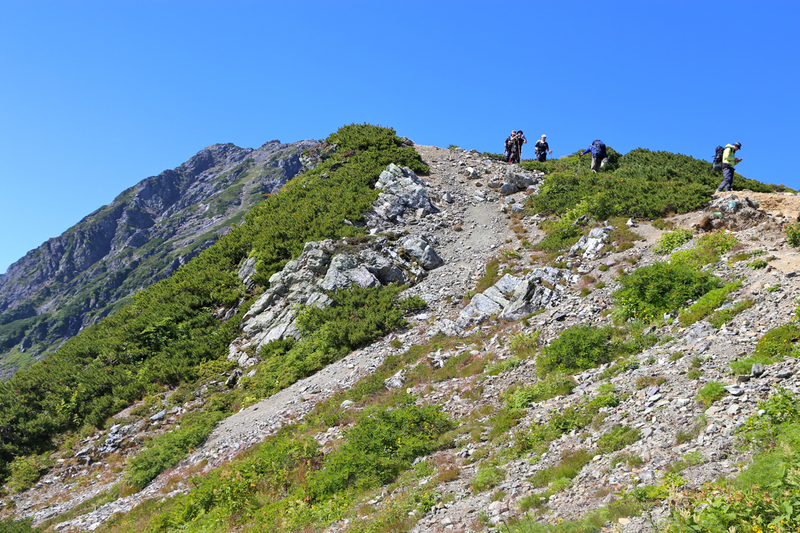 The trail continues up a slightly steeper section, then more gently in rocky terrain. You finally pass a false summit (pic. is looking back) on the right before entering the short, final summit ridge. We caught the first bus, at 0515 from Ashiyasu parking, arriving at the trailhead around 0615. After some short preparations, we were on our way by 0625. Quite a substantial uphill, up the spur, then more horizontally, arriving at the hut in 1:20. 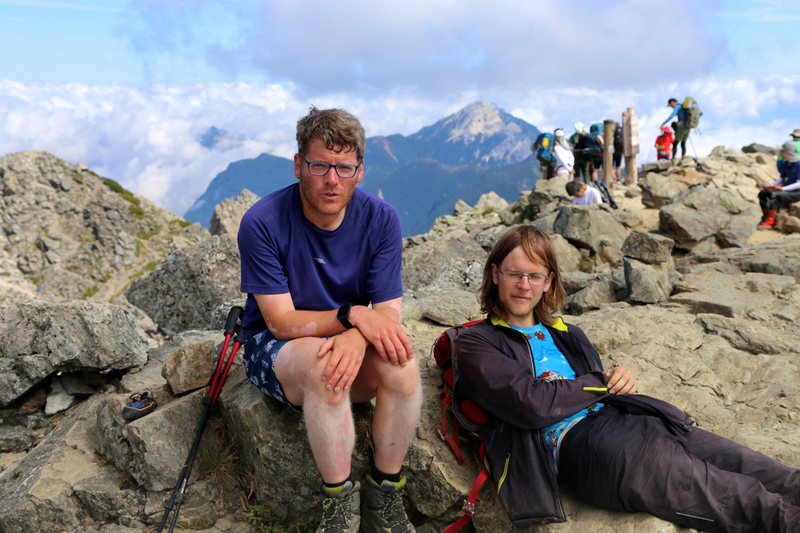 We took a good 15 minute break here before taking on the next big uphill, from the hut to the main crest. This is where the scenic part of this climb really begins. 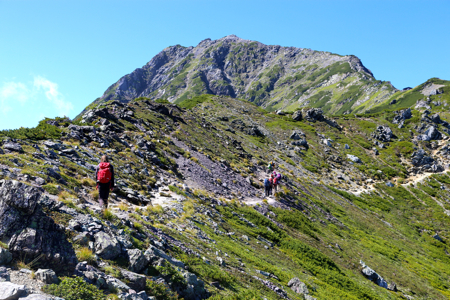 We truly enjoyed the hike up to and past the mountain hut, then onwards to the summit. The false summit tricked me, so we first ascended it only to discover that the crowd was standing across at the true summit, a bit further away. We were there at 0940, so 3 hours of walking. Nice weather, quite a few clouds below us, but also nice views across to nearby mountains, some almost as high, most likely exceeding 3000 meter. The ridge that continues south looked very nice, however, we need to catch a bus in order to get back to our parked car. We spend 50 minutes on the top. 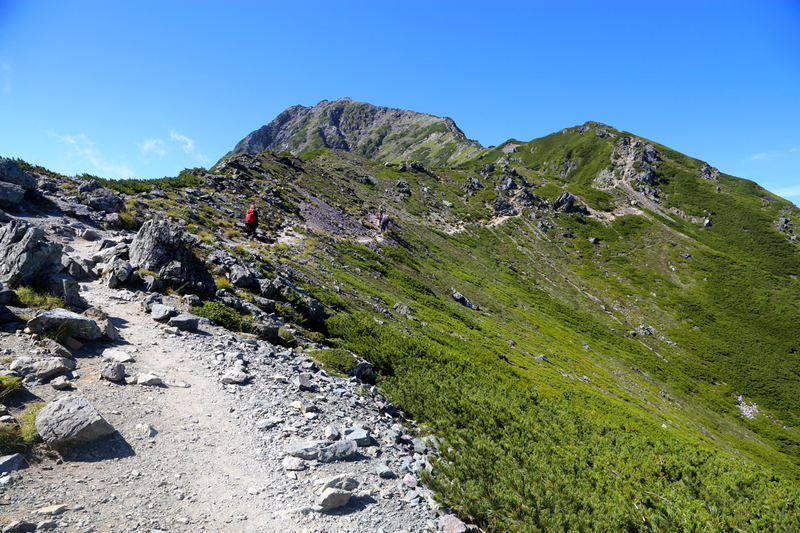 This is the last ultra prominent mountain of our trip, but also the highest mountain in Japan that does not look like a vulcano. 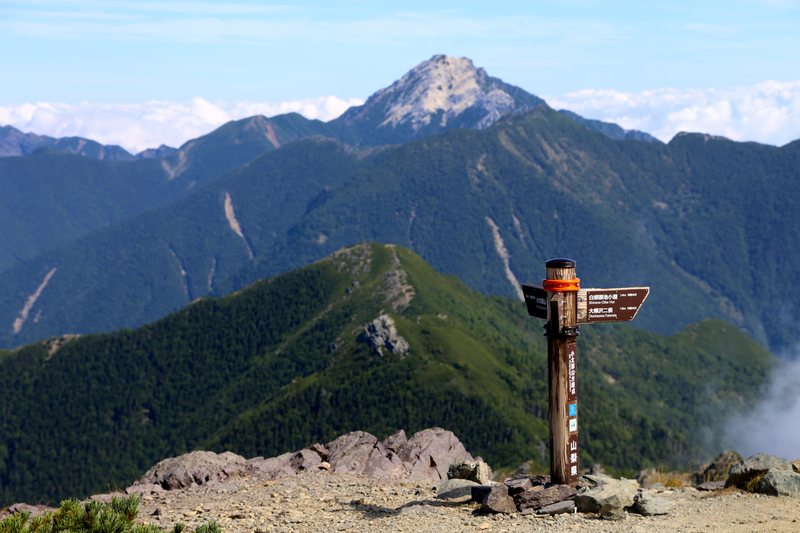 Hotaka, our second mountain, is almost as high, perhaps the best two peaks among the set of 21. We subsequently descend back down to the lower hut and decide to order lunch (rice and curry) there. 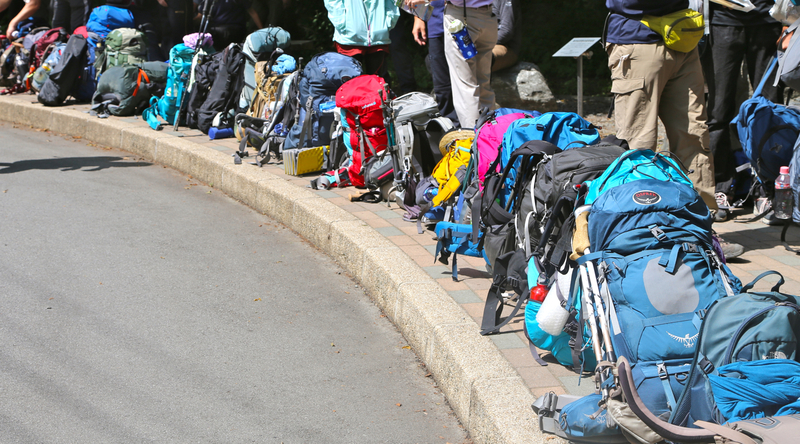 About 40 minutes later we descend to the trailhead in 1:10, well ahead of the scheduled bus departure. The time is now 1340, there is a long line for the bus. The bus leaves at 1430, in fact 3 buses leave at the scheduled departure time in order to carry the people that have been waiting. Kita, as seen from the trail.